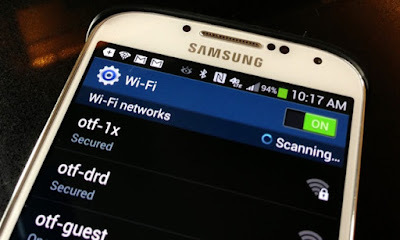 This content addresses a connectivity issue on the Samsung Galaxy S6, in which the Internet disconnects every time the phone screen goes to sleep. To those who have sent us email regarding the same problem, please refer to the subsequent solution. Note: The methods elaborated below are also applicable to Samsung Galaxy S6 Edge variant. 3. Scroll to and tap to select Wi-Fi. 4. Tap MORE on the upper-right corner of the Wi-Fi screen. 5. Scroll to and tap Advanced from the given options. 6. From the Advanced settings screen, tap the option to Keep Wi-Fi on during sleep. 7. To keep the Wi-Fi connection on even when the screen is off, select Always. Your selected option will then appear beneath the Keep Wi-Fi on during Sleep option. So it should say, Always. And that should do it. The aforesaid steps are applicable to Samsung Galaxy S6 running on Android Marshmallow platform. Menu options may vary depending on firmware version the phone runs on.